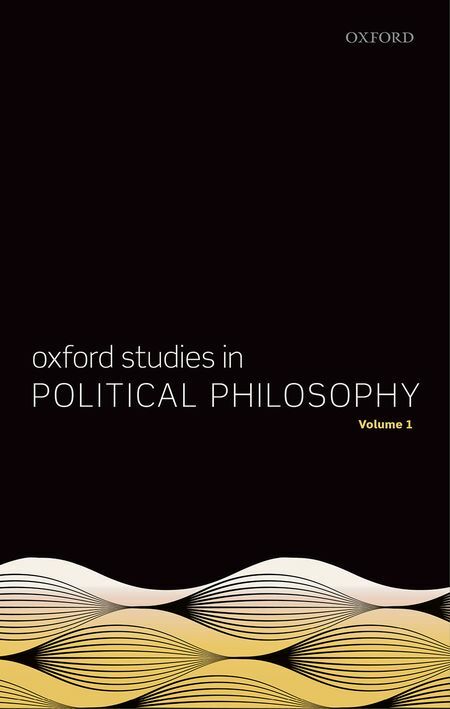 This is the inaugural volume of Oxford Studies in Political Philosophy (OSPP). Since its revival in the 1970s political philosophy has been a vibrant field in philosophy, one that intersects with jurisprudence, normative economics, political theory in political science departments, and just war theory. OSPP aims to publish some of the best contemporary work in political philosophy and these closely related subfields. Das griechische Wahlergebnis ist das Votum einer Nation, die sich mit deutlicher Mehrheit gegen das ebenso erniedrigende wie niederdrückende soziale Elend einer dem Land oktroyierten Sparpolitik zur Wehr setzt. An dem Votum selbst gibt es nichts zu deuteln: Die Bevölkerung lehnt die Fortführung einer Politik ab, deren Fehlschlag sie am eigenen Leibe drastisch erfahren hat. Mit dieser demokratischen Legitimation ausgestattet, macht die griechische Regierung den Versuch, einen Politikwechsel in der Euro­Zone herbeizuführen. Dabei stößt sie in Brüssel auf die Repräsentanten von 18 anderen Regierungen, die ihre Ablehnung mit dem kühlen Hinweis auf ihr eigenes demokratisches Mandat rechtfertigen. Man erinnert sich an jene ersten Begegnungen, als sich die präpotent auftretenden Novizen in der Hochstimmung ihres Triumphes mit den teils paternalistisch­onkelhaft, teils routiniert­abfällig reagierenden Eingesessenen einen grotesken Schlagabtausch lieferten: Beide Seiten pochten papageienhaft darauf, vom jeweilig eigenen "Volk" autorisiert worden zu sein. "Why Angela Merkel is Wrong on Greece"
"Greek crisis: Merkel placing investors above democracy, says Habermas"
"La scandaleuse politique grecque de l’Europe"
"Det är vi som bär skulden, inte Grekland"
"Hvorfor EU’s politik over for Grækenland har spillet fallit"
Harvard Philosophy Department has uploaded John Rawls' lectures on "Modern Political Philosophy" in the spring semester of 1984 (audio only). Introduction; Fundamental ideas (social cooperation, a well-ordered society). See Lecture 1 in John Rawls's book "Political Liberalism" (Columbia University Press, 1993), and his "Justice as Fairness" (Belknap Press, 2001), pp. 1-12. Fundamental ideas (the basic structure of society, the original position, free and equal persons). See Lecture 1 in John Rawls's book "Political Liberalism" (Columbia University Press, 1993), and his book "Justice as Fairness" (Belknap Press, 2001), pp. 14-24. Fundamental ideas (justification and reflective equilibrium). See John Rawls's book "Justice as Fairness" (Belknap Press, 2001), pp. 26-32. See John Rawls's book "Lectures on the History of Political Philosophy" (ed. by Samuel Freeman, Belknap Press, 2007), pp. 103-137. See John Rawls's book "Lectures on the History of Political Philosophy" (ed. by Samuel Freeman, Belknap Press, 2007), pp. 159-187. See John Rawls's book "Justice as Fairness" (Belknap Press, 2001), part II. Kant's "Groundwork of the Metaphysics of Morals"
See John Rawls's "Lectures on the History of Moral Philosophy" (Harvard University Press, 2000), pp. 143ff. See John Rawls's "Justice of Fairness" (Belknap Press, 2001), part III, and his lectures on "Kantian Constructivism in Moral Theory", published in his "Collected Papers" (Harvard University Press, 1999) pp. 303-358. "Where the Right Gets in: On Rawls's Criticism of Habermas's Conception of Legitimacy"
James Gordon Finlayson is Senior Lecturer in Philosophy at the University of Sussex. He is the author of "Habermas: A Very Short Introduction" (Oxford University Press, 2005) and co-editor (with Fabian Freyenhagen) of "Habermas and Rawls: Disputing the Political" (Routledge, 2011). Larry Temkin gave a lecture on "Equality as Comparative Fairness" at the Institute for Futures Studies, Stockholm, on May 20, 2015. "The goal of this talk is modest. It is simply to help illuminate the nature of egalitarianism. More particularly, I aim to show what certain egalitarians are committed to, and to suggest, though certainly not prove, that equality, as these egalitarians understand it, is an important normative ideal that cannot simply be ignored in moral deliberations. In doing this, I will distinguish between different kinds of egalitarian positions, and indicate the type of egalitarianism with which I am concerned, which I call equality as comparative fairness. I will discuss the relations between equality, fairness, luck, and responsibility, and defend egalitarianism against rival views that focus on subsistence, sufficiency, or compassion. I will also defend egalitarianism against the leveling down objection, and illustrate egalitarianism’s distinct appeal, in contrast to prioritarianism’s." See also his paper, forthcoming in "Journal of Applied Ethics". Larry Temkin is Professor of Philosophy at Rutgers University. He is the author of "Inequality" (Oxford University Press, 1993), and "Rethinking the Good: Moral Ideals and the Nature of Practical Reasoning" (Oxford University Press, 2012).